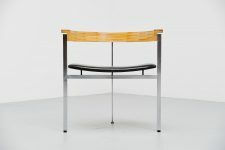 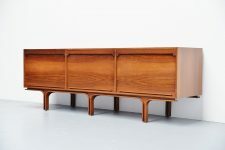 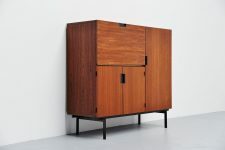 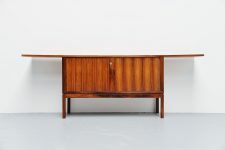 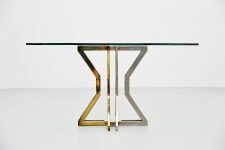 Stunning dining table by Romeo Rega, manufactured in the Romeo Rega Studio, Italy 1970. 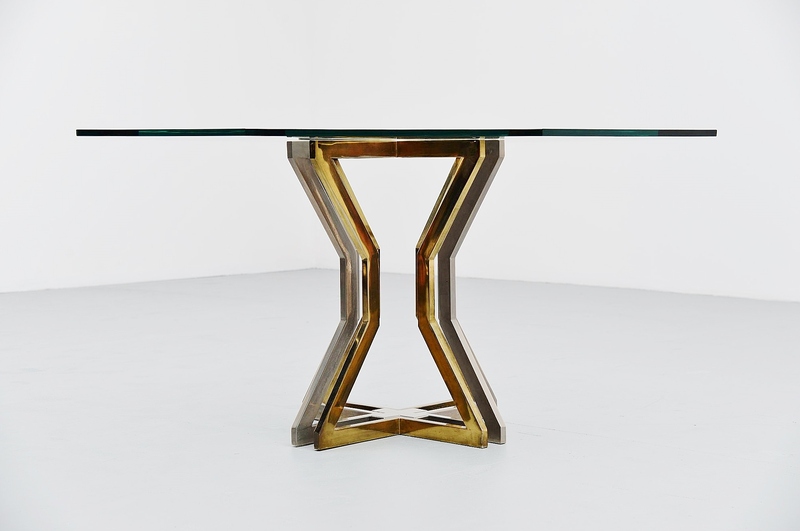 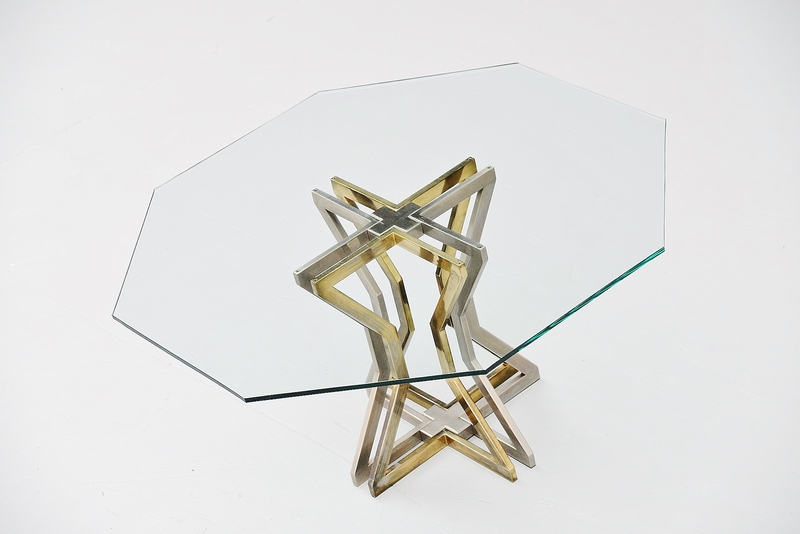 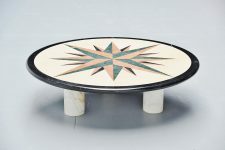 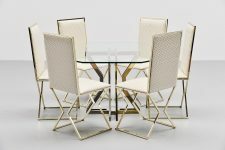 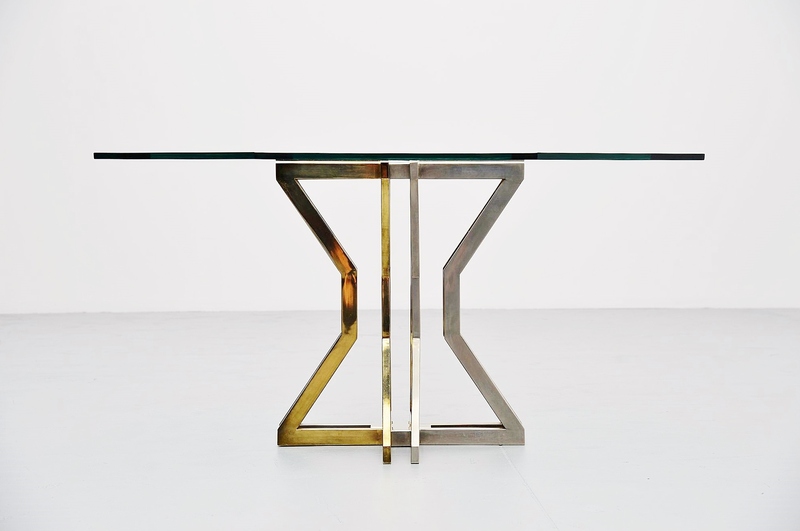 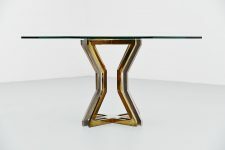 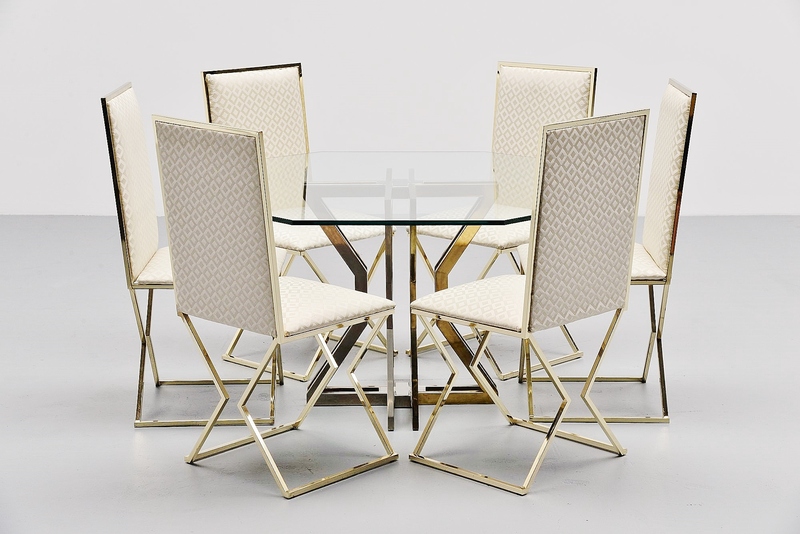 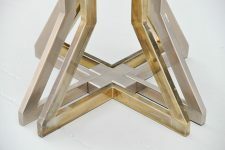 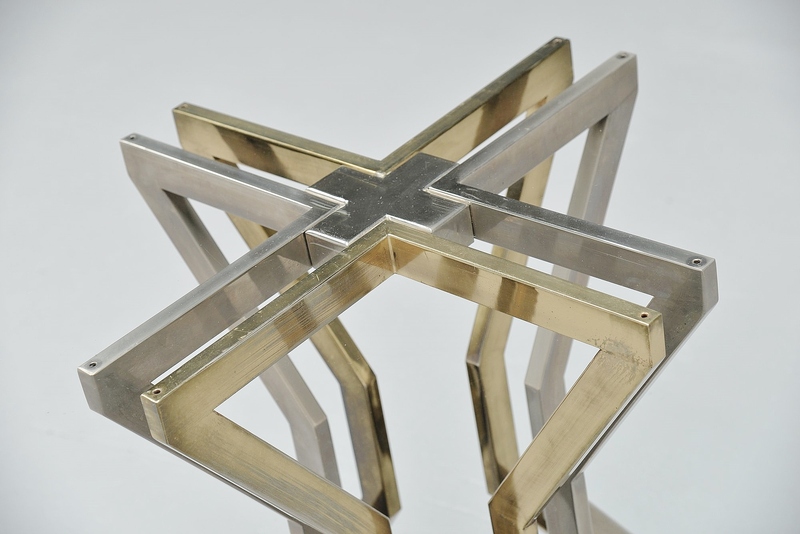 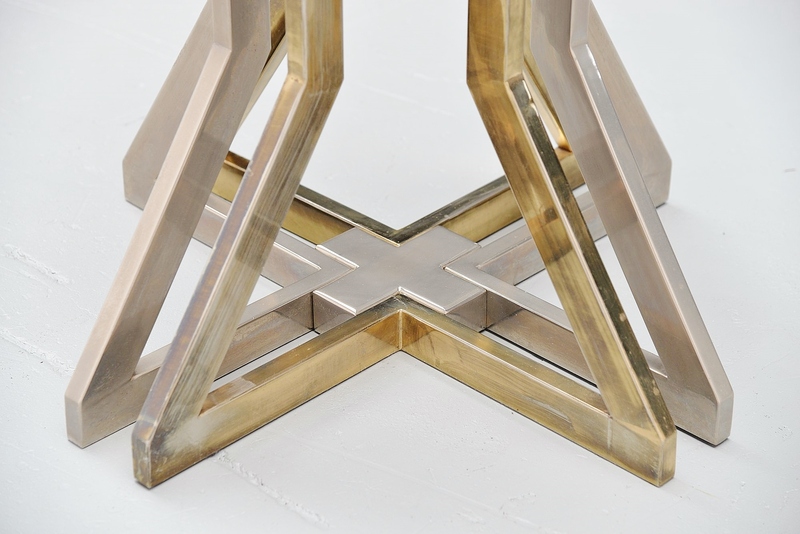 This table has a brass and chrome plated geometric sculpted base and an octagonal thick glass top. 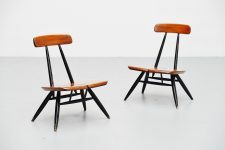 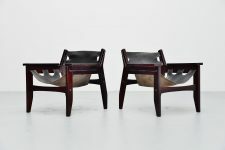 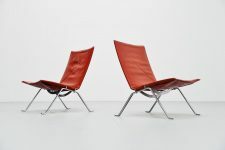 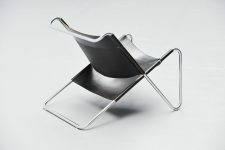 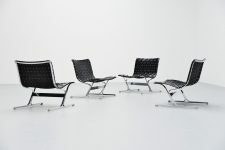 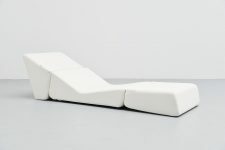 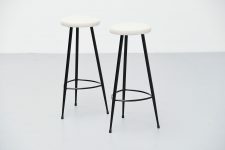 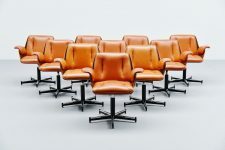 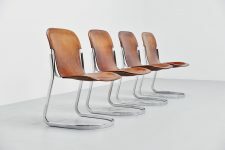 Great to match with the 6 Romeo Rega chairs we have with it with graphic original upholstery. 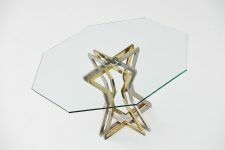 The glass is in very good condition without chips or cracks, only normal surface wear.